As a result of our efforts in leading-edge fields, we now possess sophisticated technologies and diverse development capabilities that we are able to offer a lineup of well over 50,000 products. It is especially our policy to continuously ensure that at least 30% of these products (in terms of sales ratio) are new products. The development behind this takes place at our Yokohama Center, which began operations in 2011. The center integrates a technical network that horizontally links the sectors of engineering, production technologies, and quality assurance with sales and marketing, which enables us to speedily develop new products possessing both high applicability and added value and respond to global market needs. We take the lead in developing and quickly producing heretofore unbegotten products. We develop new products through tireless R&D that links our product development team with our sales and marketing team. 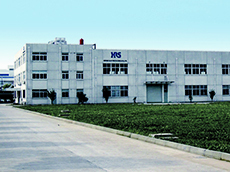 Our stable production and reliability of a continuing succession of new cutting-edge products is supported by our production technology and quality control system. Our production technology department meets production demand for a broad range of connectors with an integrated development system covering everything from advanced molds to automatic assembly machinery and tools. On the other hand, our quality control department, which sets a 100% no-defect rate as its guiding principle, not only conducts quality inspections but also maintains a strong awareness of how customers use our products and conducts repeated verifications and improvements from a variety of angles. 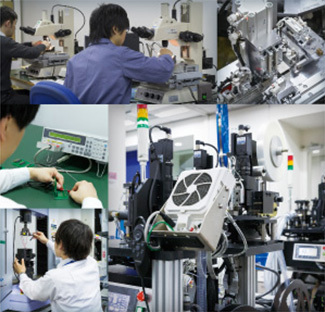 Hirose has developed a manufacturing network which consist of Hirose factories and subcontracting companies. Hirose has become a global leader in the development of production equipment, mold technology, and engineering research in plating by developing core production technologies together with our subcontracting partners. 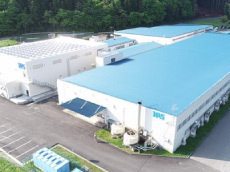 For mass-production, the Hirose factory in Japan designs, refines and readies production equipment to the highest degree which is then deployed to our subcontract partners for production. 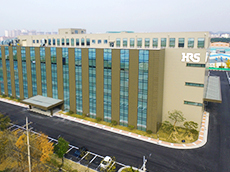 The 8 Hirose factories (Korea, Indonesia, Malaysia, two in China and three in Japan) and subcontracting companies have formed a production network to maintain a stable source of supply while maintaining the highest level of quality. 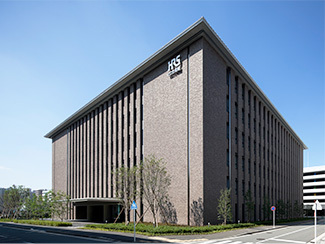 This partnership has allowed Hirose to develop cutting edge technology by collaborating and sharing Kaizen (continuous improvement) activity.